Club Penguin-Updated Community Fan Art! Club Penguin recently updated their Community Fan Art page yesterday, but it looks like they have updated it again! They have removed some of the pictures from it and put in some fresh new ones. These look better than ever! A picture is below. Hmm, I am wondering what is going on with the updating. Like stated in the Featured Igloo post, we’ll have to wait and see! Leave a comment to let us know what you think of these Fan Art pictures. Hello guys!I am happy to say that The Great Snow Race started in Club Penguin yesterday.And I wanted to show you the cheats for it.So just enjoy them.Here are the video cheats. 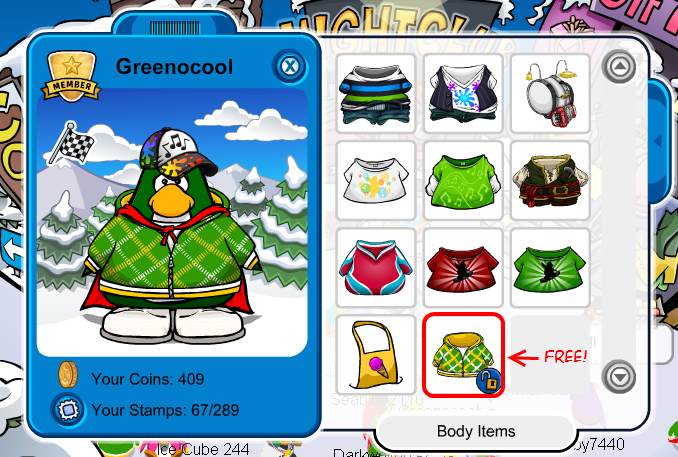 Club Penguin Free Coin Code-Free Green Jacket! 1.Log in a CP account to unlock by clicking on the coin icon on the homepage. 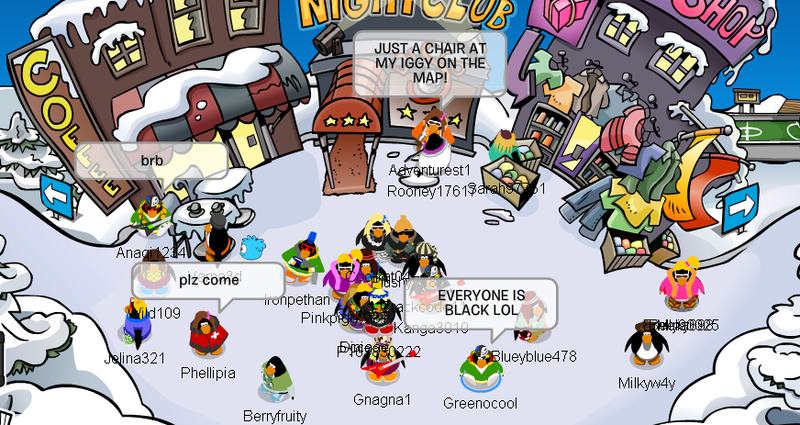 New Club Penguin EPF Messages From The Director! Hello penguins!Are you an EPF agent?If not,you should become instantly!Because,at the moment the Director is sending us some important messages.It is about the 2nd step of catching Herbert forever!It is called ”Hibernation”!If you want to see the natural definition of hilbernation click here. Do you think he will really hibernate and fall into our plan?Will we ever catch Herbert or this time?